Antakya (Antioch ad Orontes) is the city where the culture and traditions of Mesopotamia and Arabia met those of the Greek and Romans. It was a long-standing rival of Alexandria. St. Paul and St. Peter both preached and wrote here. Antakya is the place where the followers of Christ were for the first time ever, named as Christians. Antakya Mosaic Museum houses one of the richest collections of late Roman and Byzantine mosaics. 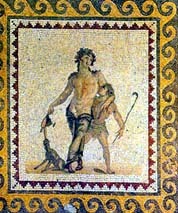 Some of the highlights are Narcissus by a stream, Drunken Dionysus and Orpheus charming beasts with his Lyre.